Your heart’s desire is to walk in the light of God’s word, but the darkness of this world dims your eyes. Clarify and refresh your vision for certainty through this Bible reading plan and journal. 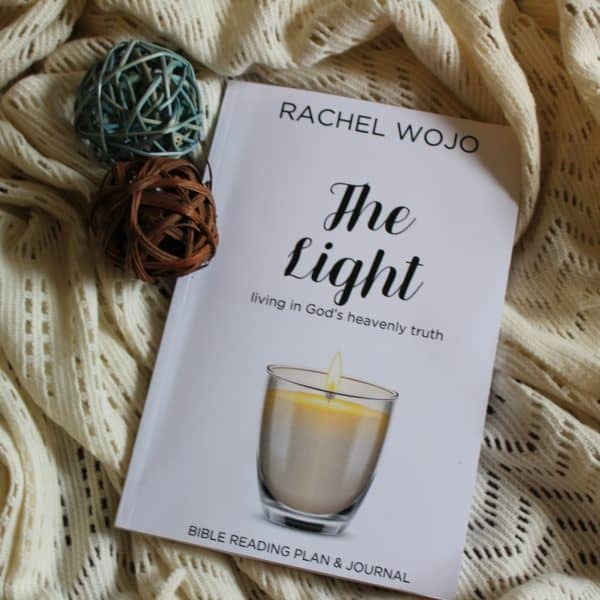 The Light Bible reading plan and journal provides 31 Scripture references ideal for one month of living in God’s heavenly truth. Each day includes one focus word and simple memory statement to help you remember there is light on the darkest of days. Allow the beautiful rays of God’s promises to illuminate your soul. Specifically designed to keep you personally accountable to spend time with God each day and enjoy his love letter to you, the simplicity of this Bible reading plan and journal makes it one you’ll long to share with others. Through The Light Bible reading plan and journal, you’ll experience a renewed focus on Jesus, the true Light of the world. Your heart’s desire is to walk in the light of God’s word, but the darkness of this world dims your eyes. Clarify and refresh your vision for certainty through this Bible reading plan and journal. The Light Bible reading plan and journal provides 31 Scripture references ideal for one month of living in God’s heavenly truth. Each day includes one focus word and simple memory statement to help you remember there is light on the darkest of days. Allow the beautiful rays of God’s promises to illuminate your soul. Specifically designed to keep you personally accountable to spend time with God each day and enjoy his love letter to you, the simplicity of this Bible reading plan and journal makes it one you’ll long to share with others. Through The Light Bible reading plan and journal, you’ll experience a renewed focus on Jesus, the true Light of the world.